3 Bedroom Detached House For Sale in Heathfield for Guide Price £650,000. 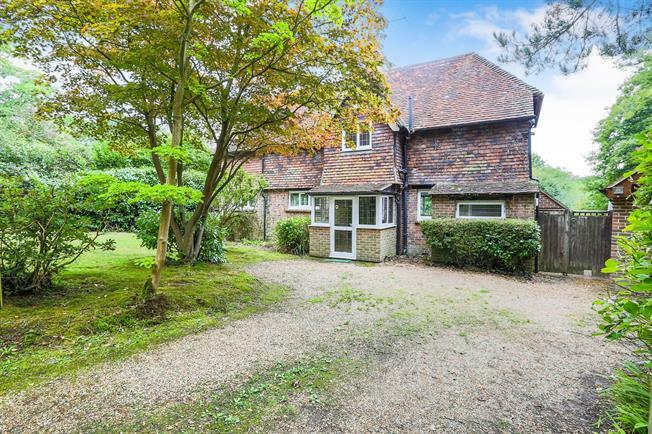 Rarely available, a wonderful detached Lions Green house offering great potential for improvement as well as extension, subject to consents. Currently hosting three/four bedrooms on the first floor with a family bathroom to serve. Downstairs there are large open reception areas overlooking the generous gardens and views beyond. The kitchen breakfast room has been modernised in recent times and hosts contemporary units and some built in appliances. Outside there is a detached garage with pitched roof as well as a car port and off street parking for many vehicles. Large front and rear gardens provide a relatively blank canvass, hosting expanses of lawn surrounded by mature trees and shrubs, offering a good degree of seclusion.